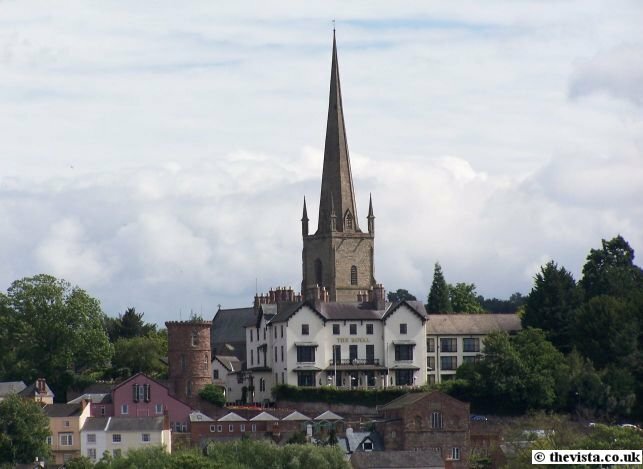 It has been the centre of Christian worship in the town for over 700 years and is central to a large group of parishes in the area. 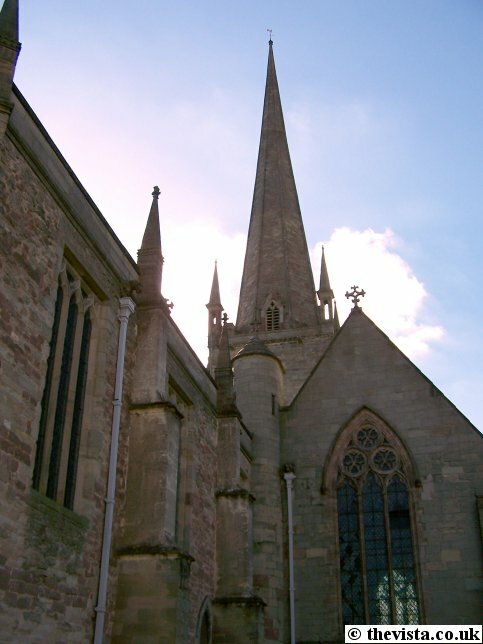 It was originally founded by Robert de Betun, Bishop of Hereford, in the 13th century. The church, in its current form, was dedicated in 1316. 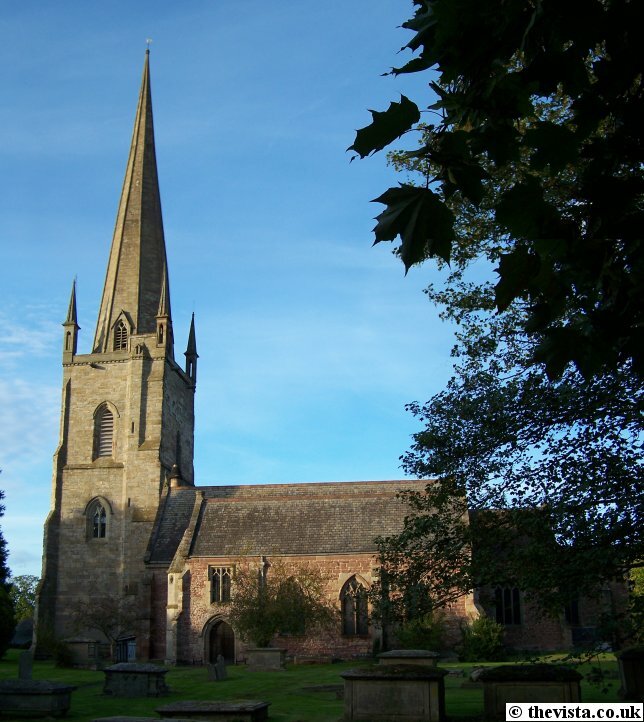 There is evidence that suggests that there was a Saxon and Norman church there before the current one was built. The spire towers 205 feet into the air and dates back to the 14th Century but was rebuilt in 1721 and the pinnacles were added using funds supplied by John Kyrle. 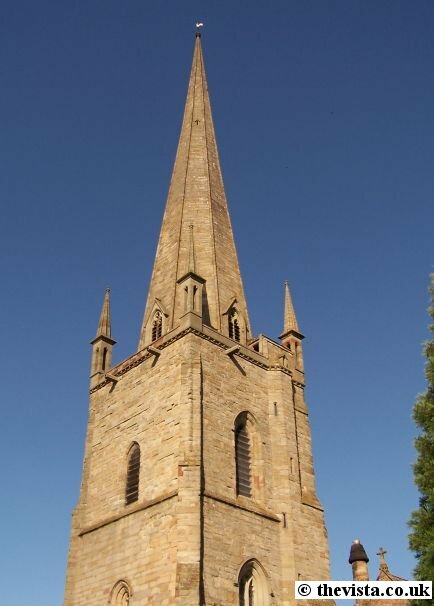 The spire was repaired in 1852 after lightening struck it and more repairs were needed in 1911. 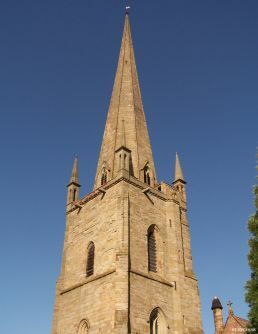 More recently, the top of the spire was rebuilt in 1952 using funds donated by the public. The clock was added to the tower in 1924 and in 1975 three of the pinacles were removed as they were deemed to be unsafe and were replaced in 1986. 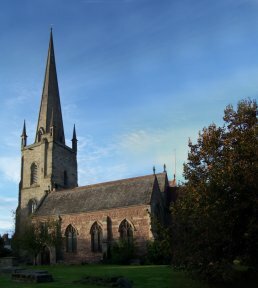 The Chapel within the church, currently called the Markye Chapel, has undergone a number of name changes over time in commemoration of various Ross-on-Wye families. 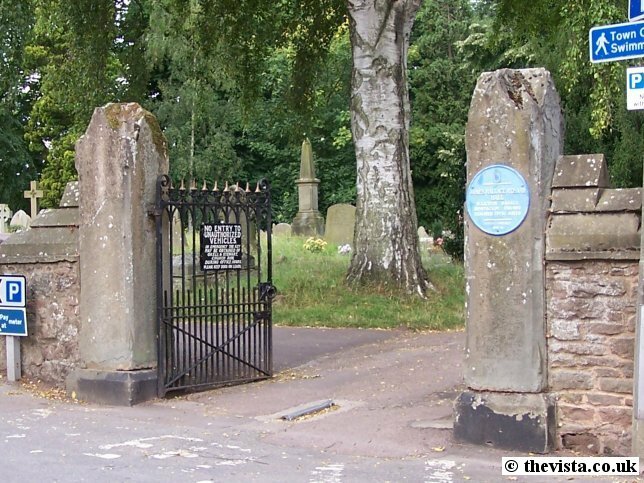 During the 17th century, Philip Markye gave an almshouse in Edde Cross Street but this has since been removed but the family name is commemorated. 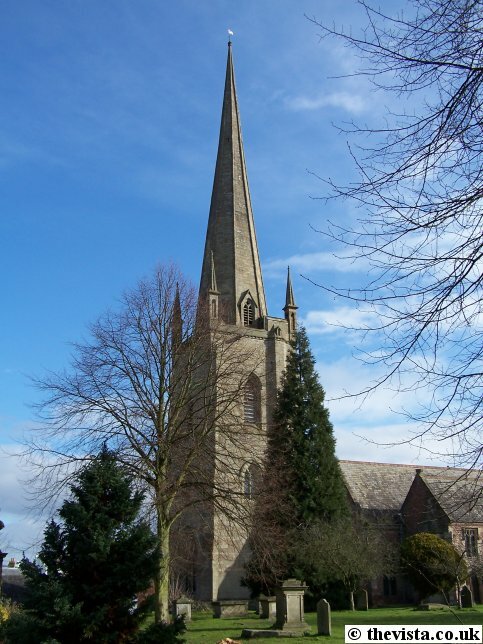 The Chapel has undergone restoration and is currently used for meditative prayer and weekday services. 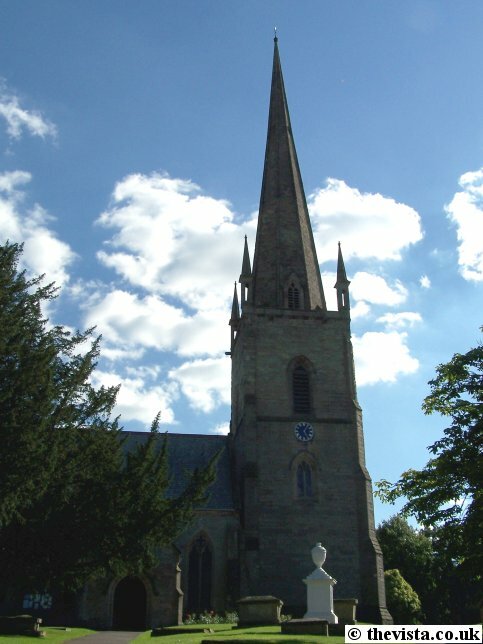 The Chapel commemorates the armed services associated with Ross in World War I and their regimental badges are on it's screen. 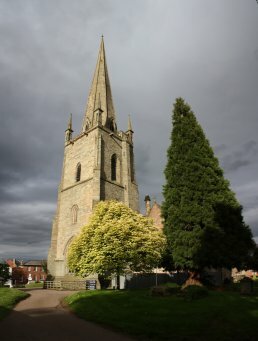 Up until around 1880, trees flourished within the church. 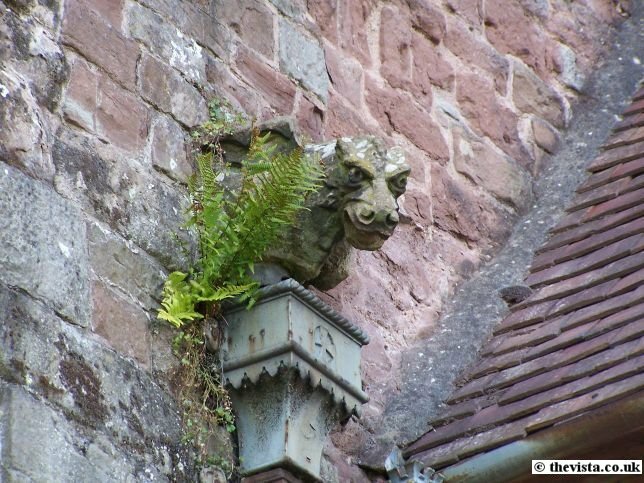 There were two by the window at the east end of the north transept and one by the north wall. These were reported (The Book of Ross on Wye - Martin H. Morris) as being the suckers of elms planted outside by John Kyrle. 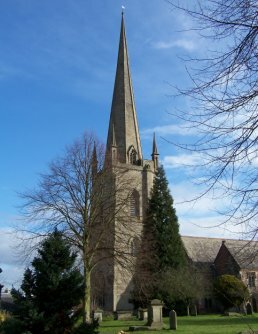 Unfortunately during the restoration in 1878 the parent trees were cuts down and the suckers died but they remained in the church until 1953 but had to be removed due to extensive woodworm infestation. 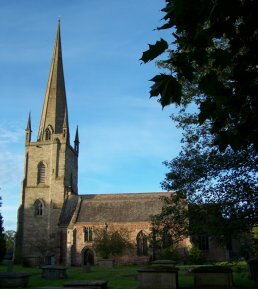 In the Church are the Rudhall Family Monuments which depict members of several generations of the family who were lords of the Rudhall Manor. This corner of the Church was where the family had their own chapel. The monuments are made of Nottingham alabaster and depict a number of the members of the Rudhall family. 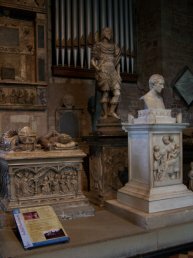 Included are William Rudhall, Attorney-General to Arthur Prince of Wales (eldest son of Henry VII), the upright statue is Colonel William Rudhall who died in 1691 and is shown wearing the armour of a Roman soldier and he bears a striking resembalance to to King Charles the Martyr. 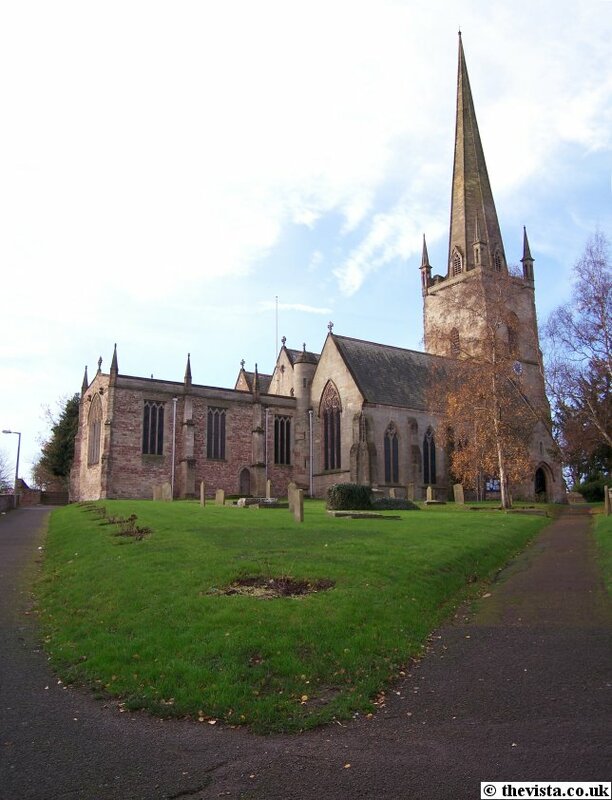 Just to the right of these is The Markye Chapel which contains war memorials including a highly carved wood screen showing the badges of the regiments to which the men, who's names are recorded, belonged. The East Window is considered the most precious possession of the Church. 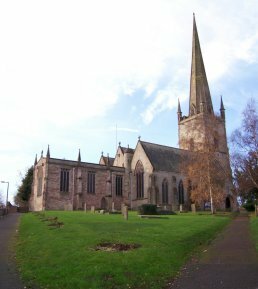 It depicts St Ethelbert (a Saxon king), St Anne (mother of the Virgin Mary), St Joachim (husband to St Anne) and St Thomas de Cantilupe (who was the Bishop of Hereford in 1272). 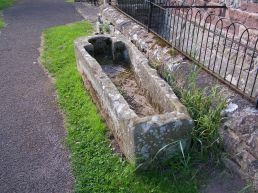 The window dates from 1430 and was originally given by Bishop Spofford to a chapel of the Bishop of Hereford at Stretton Sugwas but this burnt down in the 18 century. 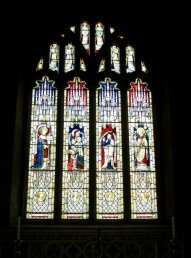 The window was brought to Ross by the Ross churchwardens and then in 1873 German glass experts managed to recreate the window and it was then put into its current position. 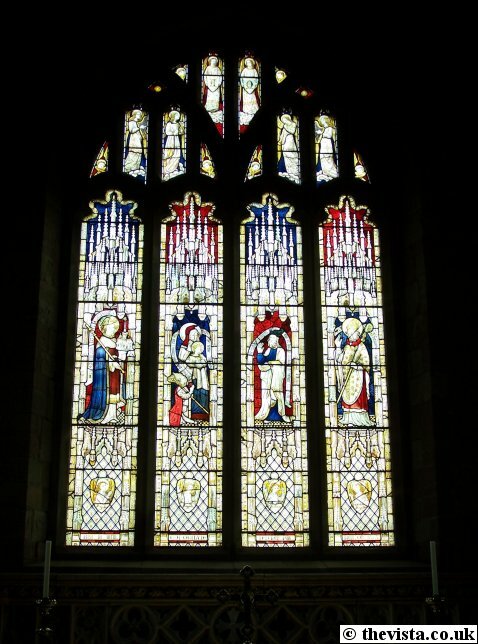 Medieval glass can also be found in the south west window which is behind the clergy vestry. 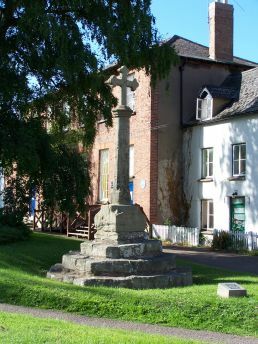 In the churchyard is the Plague Cross that was erected to mark the graves where the three hundred or so townsfolk who were buried by night and without coffins during a savage outbreak of the plague in 1637. 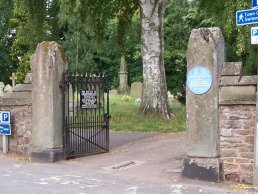 The gates to the Churchyard were donated by James Wallace Richard Hall (1799-1860) who was a Solicitor, Banker and benefactor of the area. An 13th century stone coffin in the church yard - it was empty when it was found but there were bones nearby.